Now, more than ever, revenue management is the cornerstone of running a successful, profitable, hotel. The increase in available data and ways to track and analyse it may seem like it has complicated the industry, but it also provides a wealth of new opportunities for your business to turn a profit. The most successful hoteliers are savvy operators who continually look for ways to learn and improve the way they do things, gaining an edge over the competition. But only a small percentage of independent hoteliers use revenue management strategies and thus limit their revenue-generating potential. Read on to learn the strategies that will help you realise optimal revenues and profit for capacity-constrained and perishable assets (rooms, in this case). Implemented correctly, a 50 room property can see an increase of $100,000-$200,000 each year. Before we get into that, you need to understand the basics. 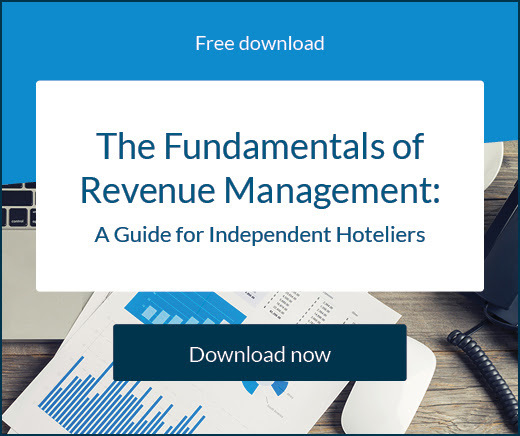 Let’s start with the definition of revenue management and what it can mean for your hotel. Revenue management refers to the pricing tactics you use to sell your property’s inventory to the right guests at the right time, to boost revenue growth. Other products such as your amenities and food and beverage offerings will also come into the picture. Revenue management revolves around measurement of what customers from different segments are willing to pay, and this can only be done by measuring and monitoring the supply and demand of your hotel rooms. Every traveller has a maximum value they can offer your hotel; revenue management is about capturing as much of this value as you possibly can. Preferably you’ll do this by convincing the guest to book direct, purchase extensions, up-sells or extras, and become a return visitor. The best strategies are based on the understanding that hotel pricing is fluid, and can change from one day to the next. This is why you should never be afraid to increase your rates. Customers actually expect increases over time – most businesses where consumers spend money are varying their prices based on demand and shifts in costs. With all this in mind, revenue management can drive the entire business plan when implemented effectively. Your hotel distribution strategy is also a vital part of your revenue management plan. Make sure you are on the internet distribution channels that promote your destination online. They have strong marketing power and can put your hotel in front of many customers you can’t contact directly. Many strategies come into play when driving more revenue to your hotel, and many of them don’t involve raising prices or playing with your rates much at all. Not least of these is satisfying your customer. If the product you offer is universally recognised as quality, you have the grounding to charge a higher price. If guests feel like they are getting maximum value for their money, it’s very likely they’ll be willing to spend more. Getting more out each individual guest who stays with you is a great way to increase the overall revenue of your hotel. For instance, guaranteed revenue from a guest you convince to stay an extra night by discounting the additional night might be worth your while, especially in low season. These days travellers enjoy the flexibility, convenience, and value of booking online. By connecting to online travel agents/more online travel agents you’ll easily see an uplift. Happy staff make for motivated staff. Motivated staff will always provide quality service, going above and beyond for guests. This will improve the reputation of your hotel and bring in more bookings. Revenue opportunities extend far beyond simply selling your rooms. Think about the amenities you have on site and what your are charging for them, and go even further by offering hotel guests the chance to purchase items like soap, utensils, towels etc – especially if your hotel has a unique sense of style. Local events and attractions are a great opportunity to put together packages for guests or offer additional services such as transport. The benefits are two-fold – guests will enjoy their stay more and your hotel will generate more income. A perfect example here is power – your hotel probably uses a lot of it! Any savings you can make is like finding gold. If you can discover how much time guests are spending inside and outside of their room, and when, you can adjust your ventilation and air conditioning systems accordingly. The same applies for when your amenities are being used. You could also consider when and where you need lights to be on throughout your property at all times. As you move away from tactics and towards fully fledged strategies around your revenue and room sales, you need to start understanding your key performance indicators (KPIs). Once you know what you should be looking at you can start analysing the data and developing ways to manipulate them in your favour. The principle that you should always keep in mind is to assess market conditions in real-time and adapt accordingly. You need a revenue management strategy to remain sustainable – that’s the short story. Ideally, you’ll even be able to turn a tidy profit each year. The best hotel revenue management strategies recognise that hotel pricing is fluid, and can change from one day to the next. It’s critical that any hotelier creates a revenue management strategy that is adaptable to the current conditions. Often it’s more important to focus on your own business and be confident than to worry too much about competitors, at least at first. Every hospitality business strategy has to have the customer at its heart. How do travellers behave in the current landscape? How do they book and travel? How do they experience and explore? What do they require? What are their expectations? It’s vital you have an idea of these factors if you want to squeeze the most value out of each guest that enters your door. The better you know the guest the more guest loyalty you can generate, which is extremely important for recurring revenue. If you know you have a certain amount of guests returning each year, that’s more rooms you don’t have to worry about and you can focus more on up-selling and cross-selling. Part of this is knowing what’s going to happen a year in advance, not simply a couple of weeks. Planning how to price and what to promote 12 months from now will really set you up for success, because you’ll already be prepared for the travellers who are dreaming of their ski holiday, summer getaway, or event-based trip. Let’s go into some specific strategies that will help you gain revenue and increase profit. There’s no pricing strategy that is perfect for any hotel. Each property must consider the pricing strategy, or strategies, that work best for its particular brand. A revenue manager will spend a lot of time analysing data and other influencing factors to ensure the business is operating with the best possible chance to maximise income. What do your guests want? Which strategy will complement the business mix? How will different strategies affect connected channels and distribution partners? How does your strategy integrate with your channels? Who are the experts that can help determine the right strategy? Let’s take the first question as an example. Certain guests will prefer or be accustomed to particular pricing methods. For instance, some may like a cost breakdown of their stay by day, while others are happy with a rate for their entire stay. This is where either Daily Pricing or Length of Stay pricing strategies might come into play. With all that in mind, the first priority of pricing should be forecasting. This way you can predict demand so you can get travellers to book early. Then you can raise rates later as availability drops and demand increases. We’ll talk more about forecasting and analysis later. 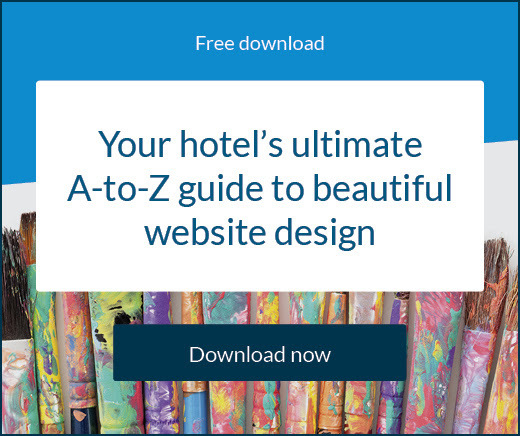 Here’s a list of the most common and effective pricing strategies you can employ at your hotel. Dynamic pricing involves changing room rates daily or even within the day based on real-time market data. Taking supply and demand into account, prices should fluctuate regularly if you want to maximise revenue. This pricing option is well suited in today’s market and is one many hoteliers opt to use. Put simply, there will be days where supply and demand will be very different depending on the time of day. In the morning you may have lower rates because your occupancy is low, as is demand. However by that evening supply may have reduced and demand grown. Many factors can drive this, such as competitors putting up their no vacancy signs or setting rates slightly too high, or travellers arriving late for events the next day and so on. You can raise your rates to take advantage of the shifting market and earn more revenue than if you’d kept your rates static. Open pricing defines the flexibility hotels around the globe have to set their prices at different levels depending on the various target markets and distribution channels they deal with. This luxury of choice allows hotels to forecast more accurately. For example, a high-end hotel may usually attract guests who no budget constraints but in the off-season bookings will drops and the hotel can drop rates to attract travellers who normally would not be able to afford the stay. While the average daily rate of the hotel will be lower, occupancy will remain steady and revenue will continue to turnover. Identifying your top competitors and pricing rooms accordingly, requiring travellers to recognise the superior options your particular brand provides. You can set your room rates higher than the local competition while also offering more extras in the basic package. This gives the illusion that the hotel offers a premium experience that focuses on value rather than just low rates. Used in slow seasons to boost occupancy by dropping base rates. Revenue can be made up through other services in the hotel. Offering the same product at different prices to different types of customers. When demand outweighs supply, it can help to implement a rule where guests are ‘obligated’ to stay a minimum number of days. In such cases, lower rates may not be necessary. Basing your rates off brand strength and reputation. Positioning yourself as the cheapest in the market. Be mindful of how travellers will perceive your hotel – you need to retain the opportunity to sell at higher rates. Positioning your hotel among the most expensive. Price leaders often achieve among the highest profitability, however the consumers need to clearly understand the reasons that they would pay more for staying at your hotel. Segmenting is a key aspect of revenue management. It allows you to differentiate between the travellers who are coming to your hotel and devise uniques strategies for all of them. For example, the approach you take with young adventurers will be very different to a business professional. However segmentation is more complex than simply business vs leisure, and you can use it to discover trends within your hotel business. One of the best ways to identify and filter segments is by their reason for travel. Think family holiday, wedding, tourist event, adventure, relaxation, business etc. Once you have a good grip on market segments you can start to decide which groups your business wants to focus on more, and which to close out at different times of the year. 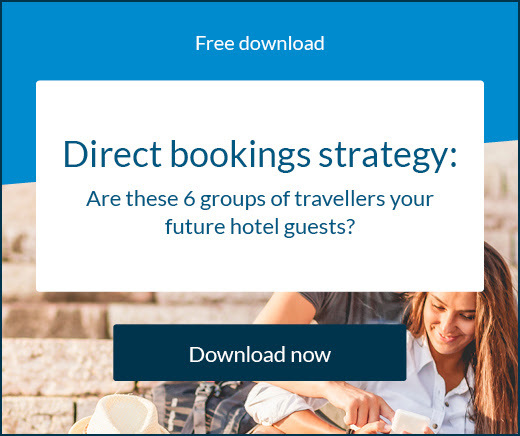 By drilling down further you might realise certain segments have higher cancellation rates and you could want to resist marketing to them. Each segment will have a unique opportunity for you to gain extra business or revenue. Every piece of analysis you do helps you build the optimal business mix for your hotel, so it’s important to look at all your options. If selling is a problem, there’s always a new way to sell or new market to target. If spending is the problem, there’s always a way to entice customers to open their wallets again. Forecasting is not only important for rate setting, but also for budgeting purposes. 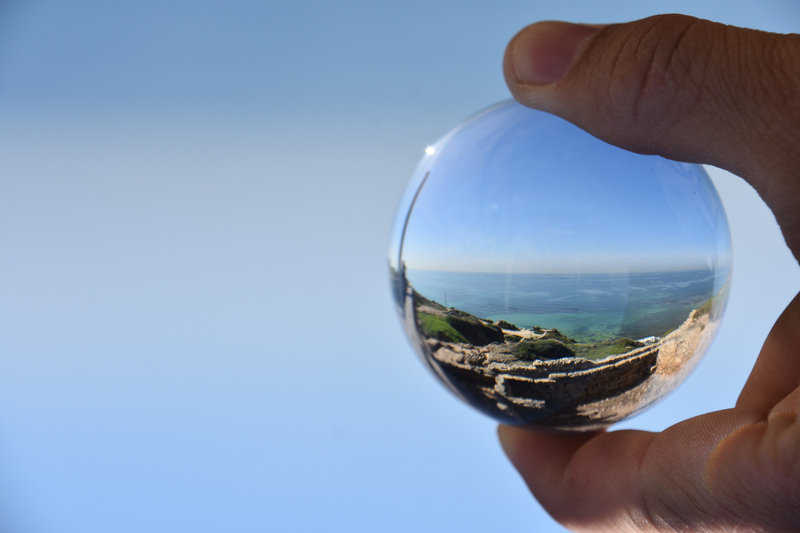 Accurate and effective forecasting requires a strong foundation in historical data. By budgeting and forecasting in advance you’ll have plenty of time and opportunity to make strategy adjustments. If you know one point in the year is particularly valuable to your hotel, write your forecast immediately for that period a year in advance. For example, try writing your December 2021 forecast on January 1st 2020. Turnaways/Regrets/Denials – tracking of reservations that are turned away or not booked, and is a critical measurement of demand. Ideally your turnaways are captured and measured on your online as well as direct/telephone requests. It’s a good idea to create demand calendar prior to setting your budgeting plan so you know exactly what you’re dealing with. This will allow you to make informed pricing strategies based on solid data sets. Before you reach your ideal budget you have to take into account influences such as sales resources, online marketing and distribution, refurbishment needs, and developments your competitor set is making. Your budget should be developed on the basis of this question: at which rate and how many rooms can you sell for every future day? For example, how do you anticipate the business demand and the leisure demand per country? At which rate can you sell on the upcoming months? How will your main corporate accounts behave? Two distinct demand measurements are constrained demand and unconstrained demand. Maximum demand for amount of rooms (the maximum number of bookings you could get based on the number of rooms) limited by the physical inventory. Maximum bookings you could get with unlimited rooms based on demand and not limited by the actual physical inventory. You should identify when unconstrained demand is above the capacity of the hotel. This is an important part of your hotel revenue management strategy. The unconstrained demand will help you calculate your Last Room Value for certain dates, and possible length of stay restrictions that may apply. Hotels will commonly benchmark against their competition to evaluate performance. It’s not the definitive way to track performance, nor should it be treated as an authority, but it does enable you to see where you stand and how travellers might react. Remember a competitor is only a competitor if they’re targeting the same markets as you, and even then you might not be competing for the same segments at the same time. However, if you can anticipate their strategies, making your own adjustments will become much easier. In the context of the competitor set, results can often look very different. Perhaps you thought you only had an average year when in fact your competitors were much worse off and you were the stellar hotel in the area. Or vice versa. The average rate index is a good way of looking at this. This measures your Hotel ADR/Market (competitor) ADR. 85 / 110 x 100 = Average rate index 77.27. This means you only achieved 77% of the rate that your competitors did. It’s very likely everyone will be using some kind of technology system to manage their hotel and price their rooms in the next 10 years. Many solutions already exist to help with this. Of course, one of these is a revenue management system, or RMS. An RMS is software that enables you to carry out important revenue management tasks more efficiently and effectively. It helps to handle and make use of all the data your hotel produces – as well as the market at large – in order to help you to make more informed decisions. Without continued dissection of the information, rooms and services may be frequently overpriced or underpriced, leaving your hotel a step behind local competitors and confused about the profitability of the business. This type of inconsistency can lead to a problem for the entire market. For example, if a hotel is constantly under-selling on the expected rate, they might inadvertently create a price war in their confusion because competitors may react in kind. While larger hotels might be able to hide or easily overcome a pricing mistake, smaller hotels have less margin for error. An incorrect price at a small hotel will have a bigger impact on ADR and RevPAR. With fewer rooms, maximising the rate for each room becomes more critical. The data your technology provides will help you understand who you should be targeting and when. What will be the most valuable demand for you? For example, do you offer rates for group business? Do you offer discounts for long stays? To get your own pricing strategy right, you need to know what your immediate competitors are doing. With a pricing intelligence tool you can get an instant all-in-one overview of your competitors rate activity, meaning you can concentrate on why they are adjusting and how/if you should respond. Large, branded hotels will already have an RMS in place – and dedicated revenue managers to manage them – and while independent hotels may not be able to afford a robust solution, pricing intelligence tools are an affordable substitute. These use the data and its own algorithms to carry out a real-time analysis of the state of the market, and of demand, in order to calculate ideal room rates. Increasing your data visibility and analysis capabilities gives you more ammunition to compete with large hotel groups who are able to devote full-time staff to revenue management. Automated market intelligence will allow you to instantly access and act upon pricing data. Knowing when the market will be an easy sell-out or in a quiet period will not only enable you to optimise rates, but with a dependable forecast, you can organise your staff more effectively and improve the guest experience. The more data you have access to, the less reactive you’ll be. Rather than reacting to your competitors all the time, you’ll better understand demand, make your own projections, and set intelligent rates. A RMS can tell you more about customer behaviour and allow you to attract more bookings. For example, do guests prefer it when your rate applies to every night of their stay, or will they accept varying rates, or do they prefer a total stay price? Instead of combing through your own data, and then individually doing the same for competitors, an RMS will collate everything for you in one place. Depending on your system, you can do this for up to 15 competitors. If you are a smaller hotel that is new to revenue management strategies, doing everything manually might have you tearing your hair out. 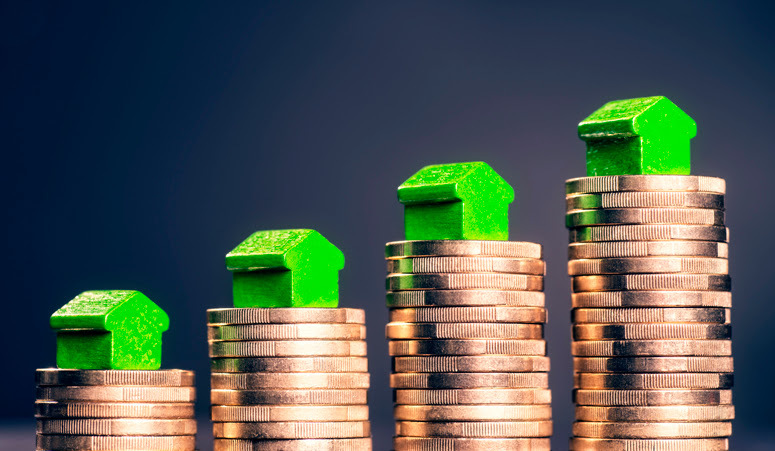 Revenue management refers to the pricing tactics you use to sell your property’s inventory to the right guests at the right time, to boost revenue growth. If guests feel like they are getting maximum value for their money, it’s very likely they’ll be willing to spend more. Be bookable everywhere and think of ways you can more out of each guest. Track key metrics, like occupancy rate, ADR, RevPAR and TrevPAR. Understand and employ dynamic pricing. Use multiple pricing strategies to get the most out of your business. Segment the market and target effectively. Put together comprehensive forecasting and budgeting plans. Remember to benchmark against your competition. Research the value of revenue management systems and pricing intelligence tools.